Travelling from York to Bradford for the DF champion training I didn’t know what to expect.. But it didn’t disappoint! Then, once I had realised my puppies knew the script better than me, I decided to take the next step. I booked my venue and started advertising. I spoke with local businesses, put up numerous posters and advertised on the local community websites and social media pages. The day arrived… Laminated games, badges and action cards in hand, I made my way to my destination. A close friend had been roped in to help me set up, carry leaflets/brochures and be a familiar face in the crowd. Then one by one people started to arrive.. 7 in total. From the local community, other areas of York and 2 from further a field! All with a different story; losing a loved one, volunteering in the local community, wanting to help work towards making their business dementia-friendly! After the introduction I started forgetting I was stood in front of strangers,worrying I was rushing, forgetting my words or trying to control the nervous shaking.. And began to ENJOY! The session went really well and whilst giving them ideas of ways they could volunteer and suggesting becoming a Dementia Friends Champion – I let slip it was my first Session and everyone in front of me looked truly shocked! And I can genuinely say at that moment I felt so proud of myself for working through my fears. I have since been asked to carry out two more sessions; the local community committee all want to become dementia friends and a local community cafe have booked a session in the coming months! I am now filled with a new found confidence and I have pledged to continue to help people living with dementia in my community. I am now working with the local community group to help them work towards becoming dementia friendly, pledging to assist with setting up a memory cafe in the local area and introducing side by side. I really hope my experience is helpful to you all and I hope we can all continue to share ideas/experiences! 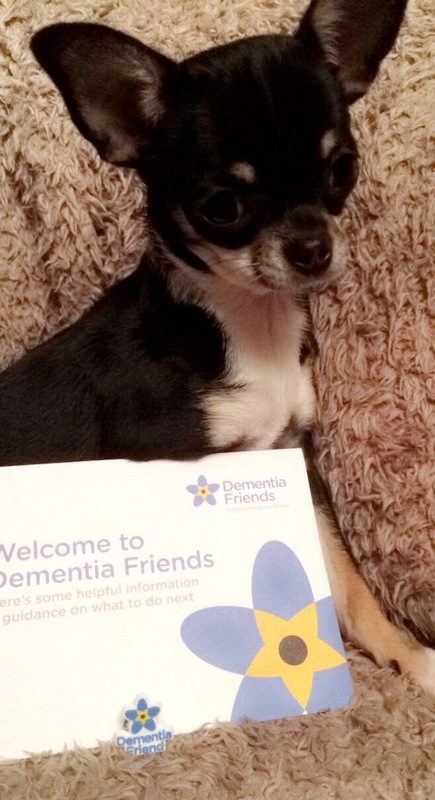 I do believe we can do great things to promote and create dementia friendly communities! Please indicate below the emails to which you want to send this article: What's it like to deliver your first Information Session? This entry was posted in Champions Corner, Session Resources / Tips on February 9, 2017 by Dementia Friends. Congratulations Natalie for Sharing and all the best for the future. I am a DC in Peterborough and I am also a nurse and work regularly with people living with dementia. Despite all of this I can honestly say the first session was the worst and very daunting. Well done to you and the more you do the easier and more fun it becomes. Well done Natalie, keep up the good work.